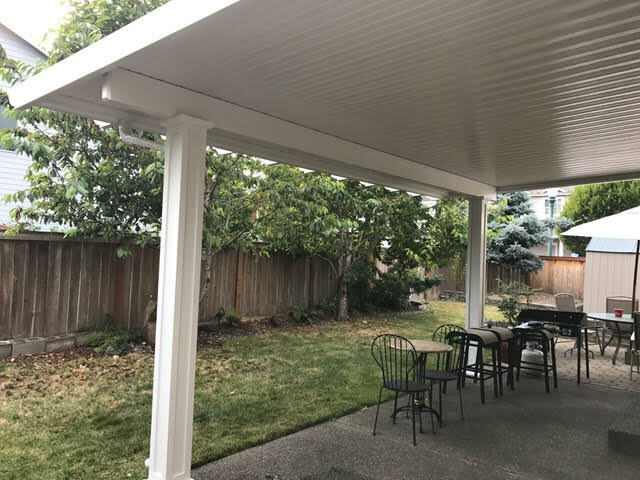 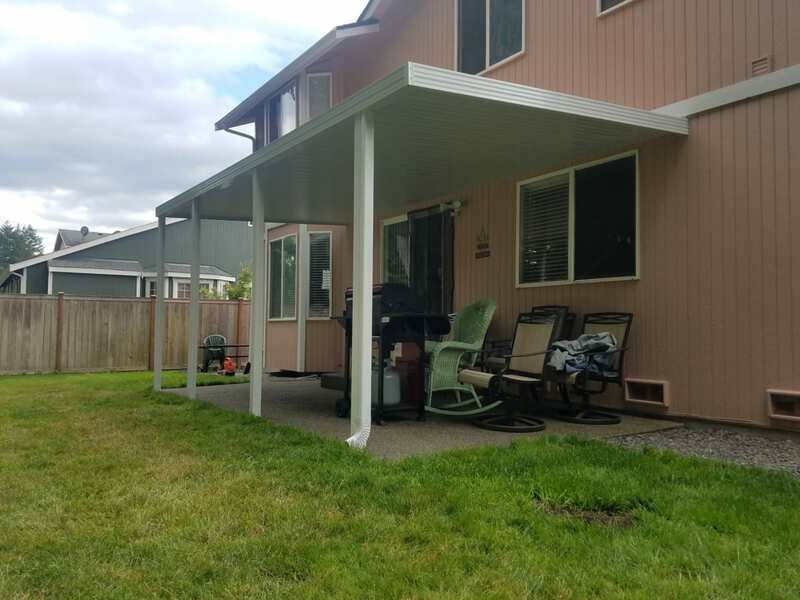 Having a Flat Pan Patio Cover with a smooth ceiling gives your home a look of “First Class” Our flat panels have a sleight cedar grain texture to them. 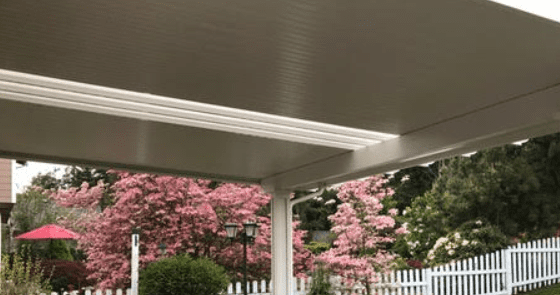 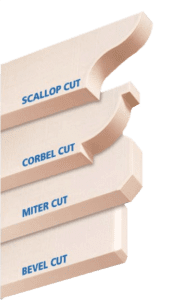 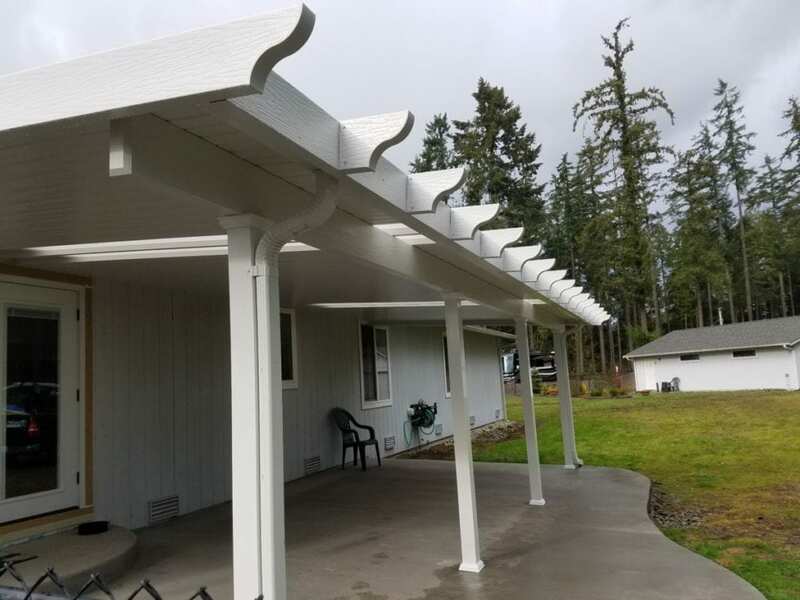 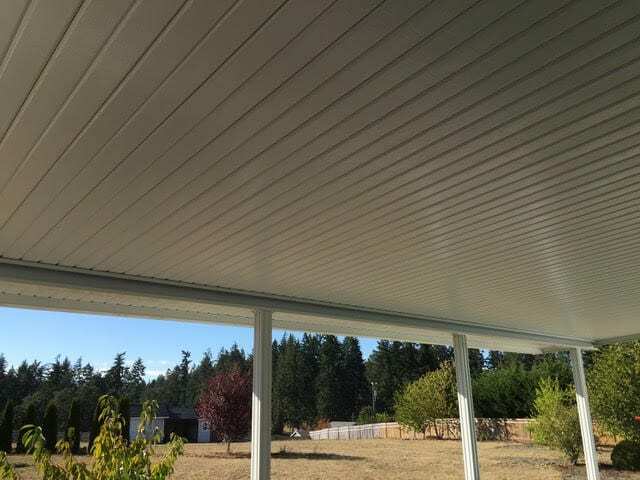 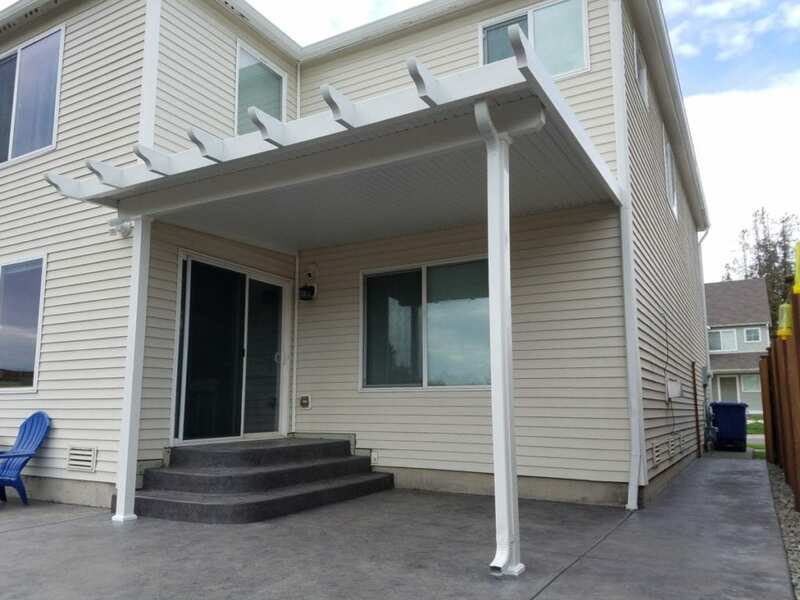 Couple that with a smooth post, gutter and fascia and you will have a beautiful, high class patio cover. 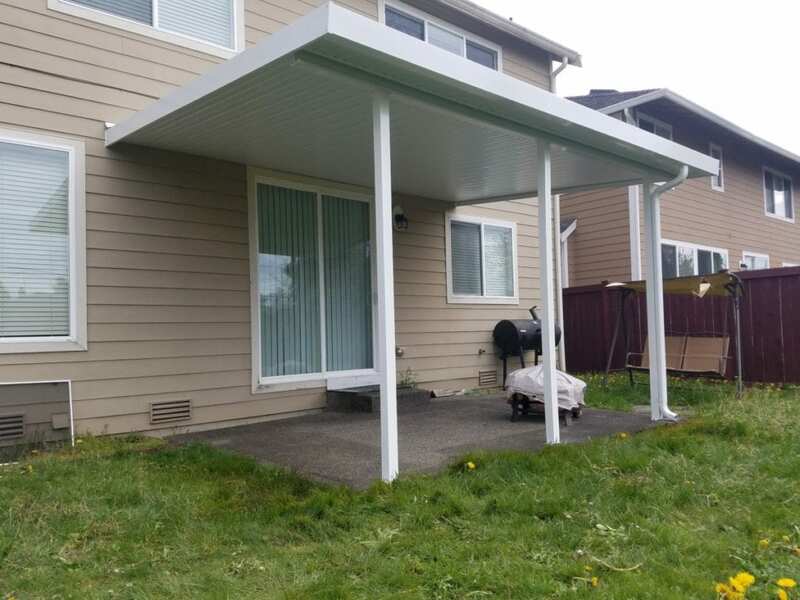 Flat Pan Patio Covers are easy to clean and the powder coating gives a long lasting finish that will look great for many years to come. 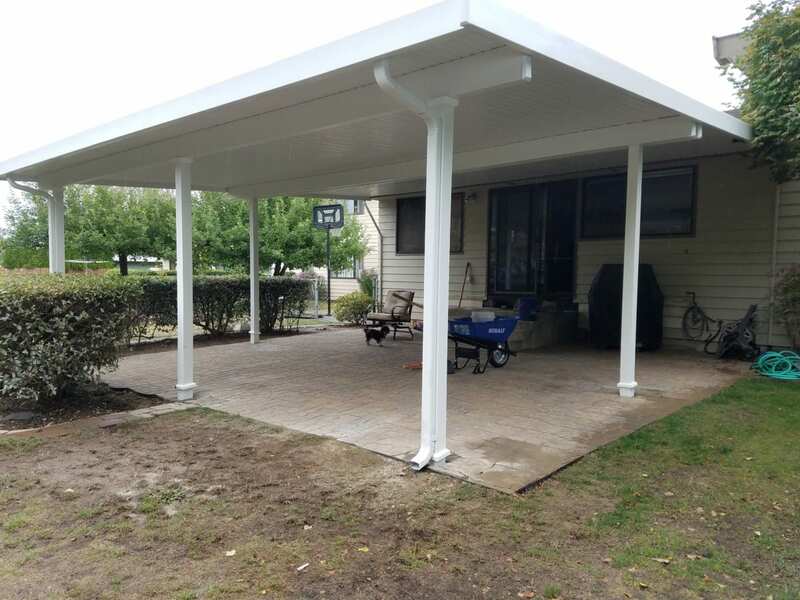 Keep the shine by washing your patio cover with Turtlewax Wash. Use a soft carwash brush or washing mitt and you will keep that shiny new look for years to come. 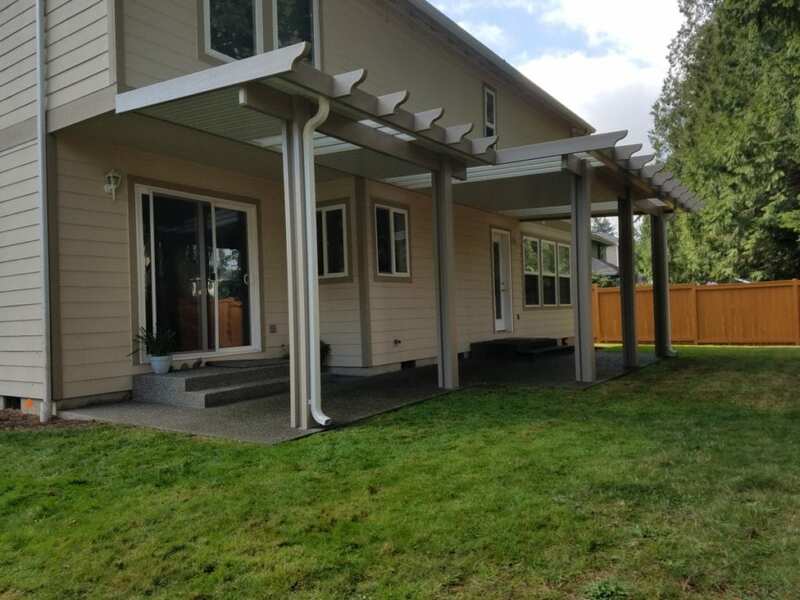 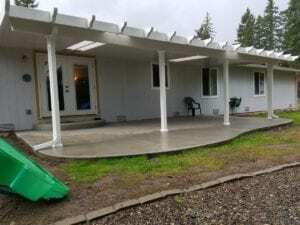 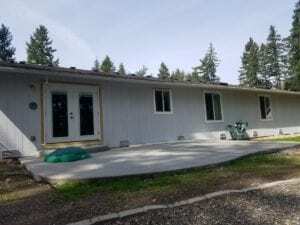 This cover was installed in Spanaway just after a new concrete patio slab was poured and a beautiful french door put in. 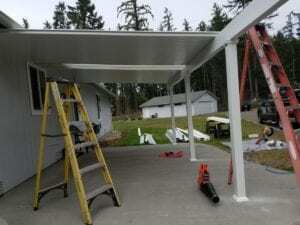 No less than a quality flat pan with skylights was in order.